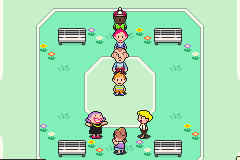 Mother 3: Claus’s Journey, is a hack that switches the roles of main characters Lucas and Claus, making Claus into the main protagonist, which greatly changes the story due to Claus’s drastically different personality compared to Lucas. Much of the text and story is altered to better showcase Claus’s personality and thoughts, as well as how others react to him. 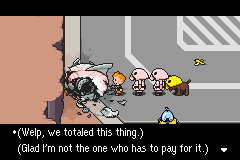 There are also 3 versions of the hack, but the story remains the same between them, and the only changes are to the PSI that Claus and Kumatora learn in the game. As for the differences between all 3 versions, those are detailed in the README. This new version has updated dialogue that’s been better polished, but also has changed dialogue for 2 new areas (the toilet dungeon and porky’s mini games), as well as other areas. It also alters the King Porky Statue boss fight to be winnable via normal means and give greater rewards as a result. 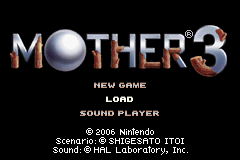 NOTE: Due to the scarcity of the original Japanese ROMs these days, the patches have been made to be applied to a Mother 3 ROM that has already been patched with Version 1.2 of English Translation. 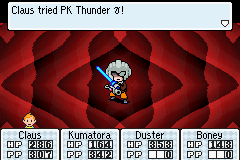 HOWEVER, this hack is still it’s own separate entity from the fan translation, with all of the dialogue being retranslated, and over half of the dialogue altered from the original script and being of spiderfreak1011’s own writing/work for the sake of this new story, along with significant gameplay changes for the 2 main party members’ Claus and Kumatora. It’s a hack made by the fans for the fans for people that want to experience Mother 3’s story in a different light, and with the knowledge of the previous story to see the differences and have a fresh experience.